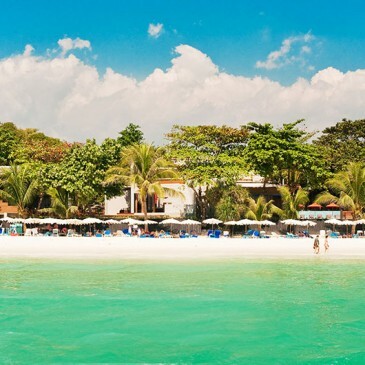 Sai Kaew Beach Resort is idyllically situated on two adjoining beachfronts on the northeast coast of Koh Samet. Sai Kaew beach is the most popular destination on the island, having a rustic charm of its own with an active main beach and several smaller ones. Located on the most popular beach on the island, there are ample opportunities For beach sport such as volleyball and soccer;for the sea-going enthusiast, sailing, scuba diving, windsurfing, canoeing and snorkeling are all available. Swim in the resort’s pool, or in the warm clean waters of the Gulf of Thailand, or stroll the narrow streets of the small nearby town.